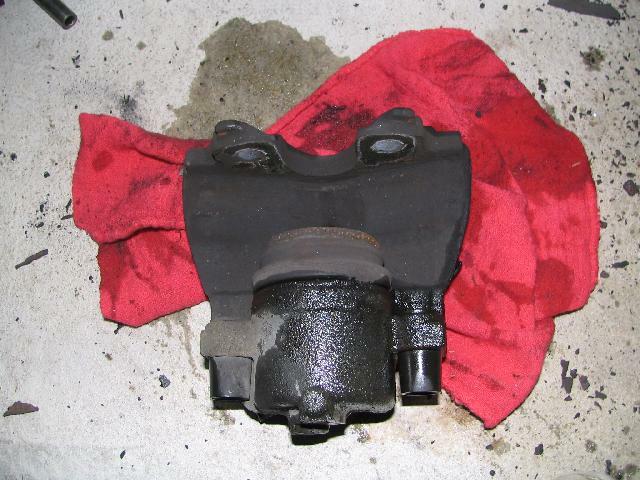 Skip this section if you are either replacing the entire caliper or just reusing the old seals. 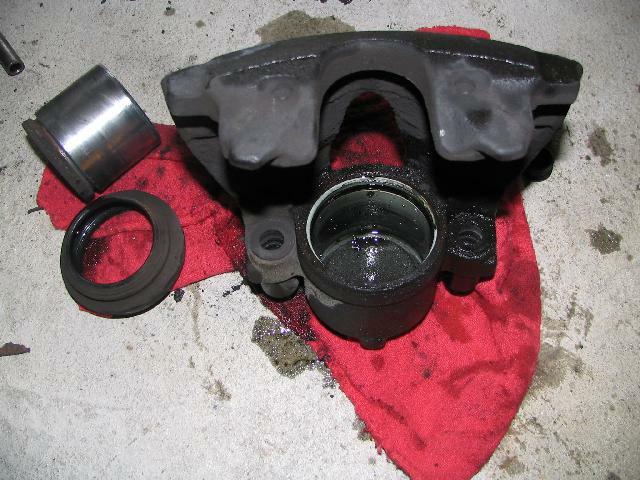 Before popping the piston out of the caliper, inspect the seals and see if they are broken. If the seals are busted, most likely the piston is rusted in the bore and the caliper is junk. The only choice is to get a rebuilt caliper. If the seals just look old and rotted but still intact, it is a good candidate to rebuild. 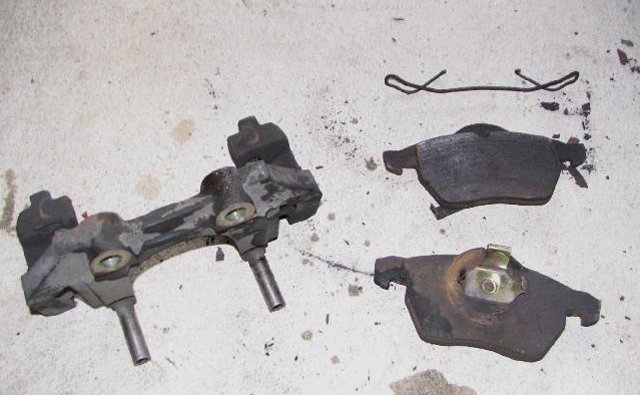 Pull off the retaining spring, the old pads and then pull off the floating piece from the main caliper. Now you need to pop out the piston! It can be done two ways. 2. Put the caliper on the car and pump the brakes. 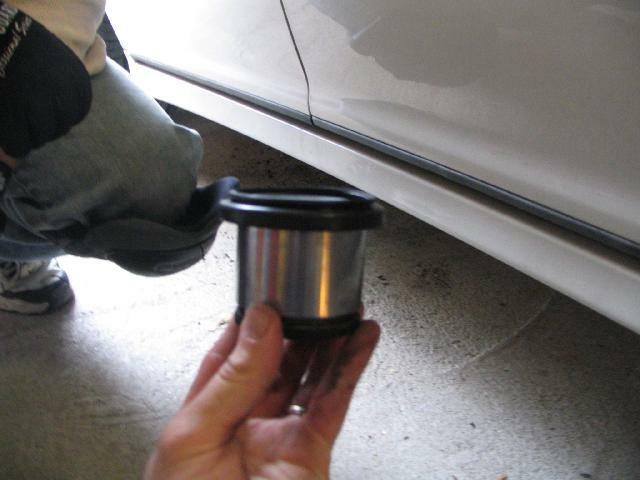 The second way makes a bigger mess because once the piston pops out, all of the brake fluid spills on the ground! Rebuilding the caliper is straightforward. 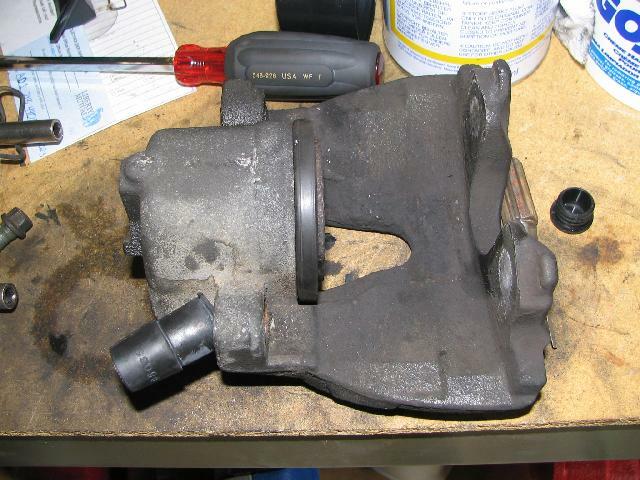 Use the brake cleaner and clean up the piston and the bore of the caliper. 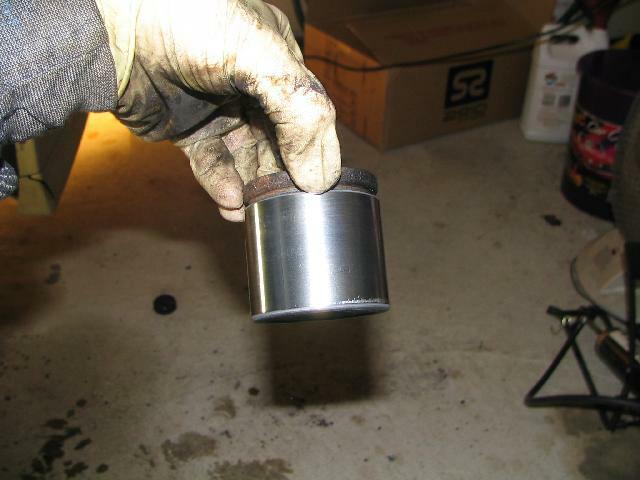 Inspect the piston for deep scratches or rust. Ignore the rust that sits above the groove of the piston. If you see damage on the piston, the rebuild will fail as the piston will seize inside the bore. Pull off the old seals and use the screw driver to clean out the top groove of the caliper. Insert the first o-ring into the bore, making sure it isn't twisted. Wet the seal with some brake fluid to lubricate the piston. Inspect the bigger seal carefully. The lip needs to go into the top groove of the bore. The only way to do this is to put the seal around the piston and leave a gap for the lip. Then carefully insert the seal into the groove while pushing down on the piston to hold it in place. Gently pull up on the seal all around the bore to make sure it's fully seated. 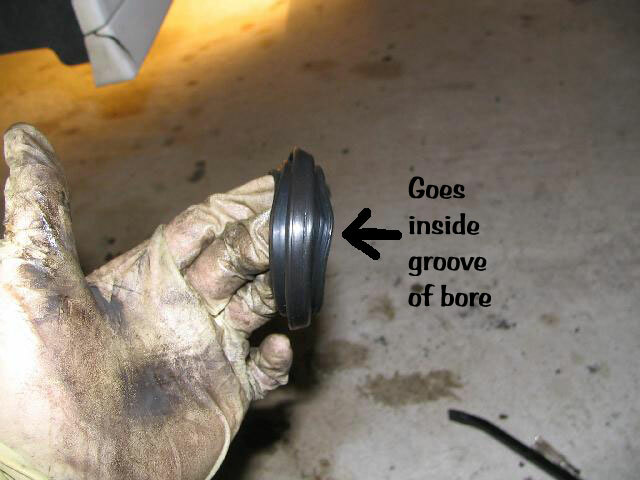 Apply a little bit of brake fluid onto the piston so it will slide into the bore. I used a small hammer and punch to push it in. Strong hands should be able to squeeze it in.